I love teaching the alphabet to my students during their first term of school. We adopt the Jolly Phonics approach, which focuses on the sounds of the letters (lower case) rather than their names (upper case) eg - a b c rather than A B C. Another important feature of the Jolly Phonics Program is that you do not teach the letters in alphabetical order, rather a carefully constructed program of letters to allow opportunities for word building as quickly as possible. 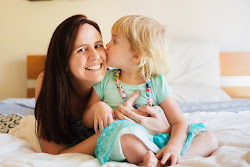 Read more about Jolly Phonics here! When learning to read and write, it's important that children not only recognise the letter, but write it and identify some words that start with that letter. This is where my 'treasure basket' idea has been so successful in my classroom. 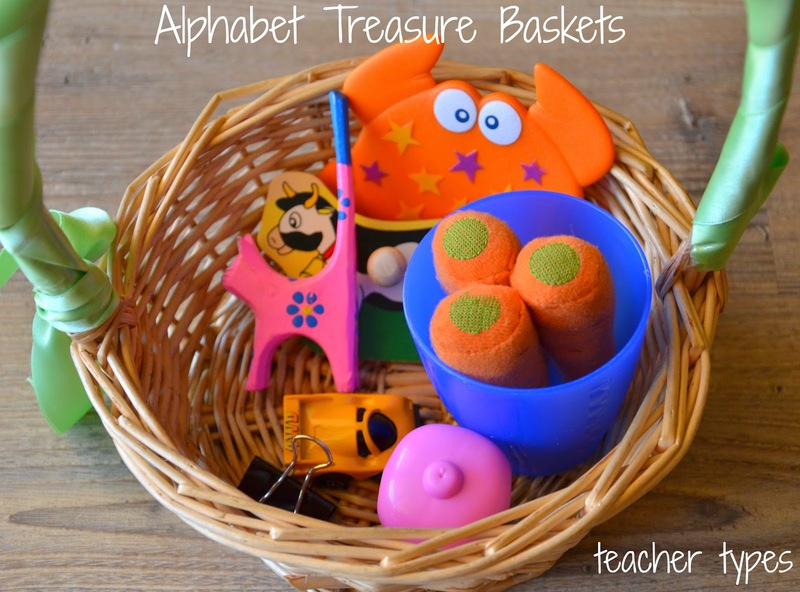 Each day when we learn a new sound, we look at the treasure basket which is filled with items that begin with that letter. Here's an example of the 'c' basket. Now 'c' is a tricky one because 'k' also makes the same sound (in Jolly Phonics we teach them together - and later on the children learn that 'ck' is another way to make the same sound). So to extend this activity, you could put items that begin with both kinds of 'c/k' and sort them out. 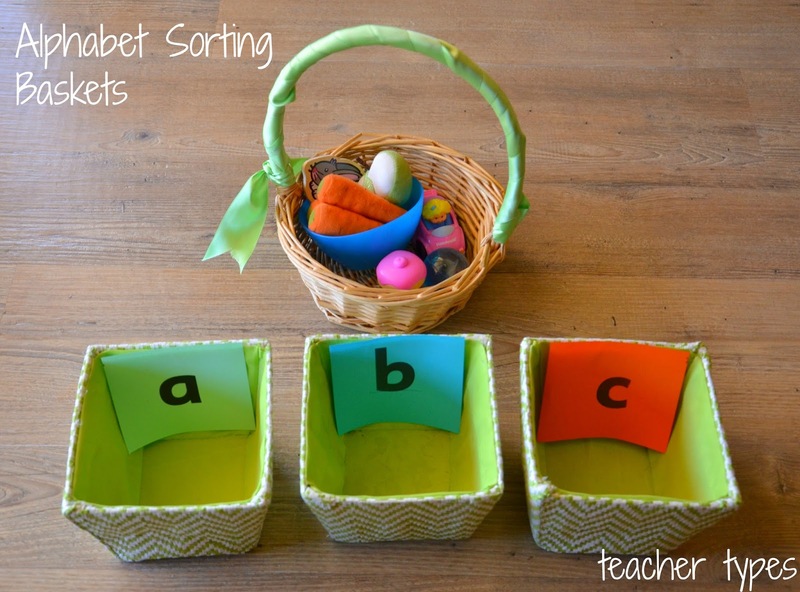 Once the children have learnt most (if not all) of their letters, you can fill the basket with a variety of objects for them to sort out into the correct baskets. I would probably start with 3-5 baskets/letters at the one time. I'm always looking around home (and the classroom) to find interesting objects for the treasure basket, I sometimes try to have a few days worth ready to go. Some letters obviously are easier than others! I thought it would be helpful to compile a bit of a list to keep these ideas in mind! One little note, try to ensure the beginning sound is clear and simple for the children - I wouldn't put 'chalk' for example in the 'c' basket because it begins with the 'ch' sound. I quite often add some flash cards into the basket as well, some with pictures, some just the letter. Magnet letters are a great addition or any other alphabet letters you may have. x - tricky one! You could just do the usual xylophone and x-ray. Or you could choose items which have the letter x in them such as box, fox, taxi, mix, exit. I have another very cool alphabet post coming soon! So please stay tuned and keep following along. Hope you found this post useful. Do you have anything to add to my lists? Thanks for your comment Nicki! That's great feedback. I found these baskets worked so well to reinforce our 'sound of the day' and gave the children something concrete to hold, touch, explore and play with - as well as getting their little minds thinking of the starting letter. Can't wait to move onto the sorting part of the activity when they are ready :) PS How great is Jolly Phonics? Oh that's a great idea! Our school does jolly phonics and I've found my kids all really responded well to it.